The Hierophant’s Hebrew letter Vav means “nail”. 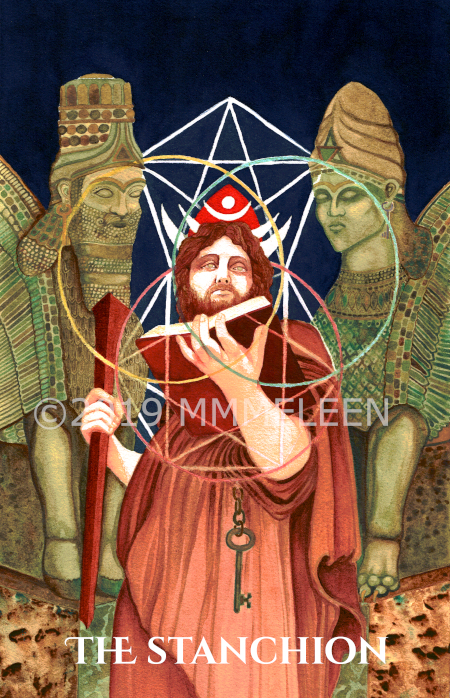 In Pharos Tarot the Hierophant is called The Stanchion, which is a vertical pin or post that provides support. It affixes the Lighthouse to the rock. 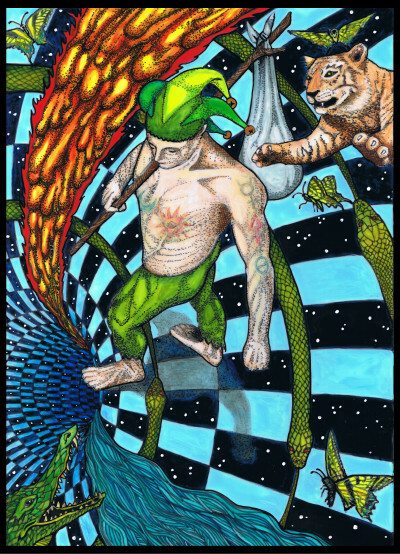 The Stanchion is conductive, bringing the Fool’s fire from heaven down the Pillar of Mercy, from Wisdom (Chokmah) to Mercy (Chesed) and ultimately pinned all the way to Malkuth. The Golden Dawn color scale colors are the colors of mankind: Red Orange, Deep Indigo, Deep Warm Olive, Rich Brown.